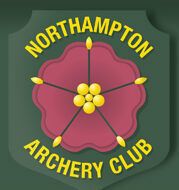 Archers, or would be archers can join NAC once they have satisfactorily completed a Beginners Course either with us or another Archer GB affiliated club. If you wish to join please contact our Membership Secretary who will provide information about membership costs etc. along with an application form. Membership runs from September to September each year, but new members joining at different times have a pro-rata reduction in the fees payable. Full details are shown on the application form. If you are unsure whether archery is for you, but really would like to give it a try first, you can contact one of our committee members shown on our contacts page for further help.